President Donald Trump’s support of a new infrastructure measure would provide significant help moving the sweeping bill through an intransigent Congress ahead of the November midterm elections. “It’s natural, I think, for the president to want to take a leadership role. He’s entitled to do that. 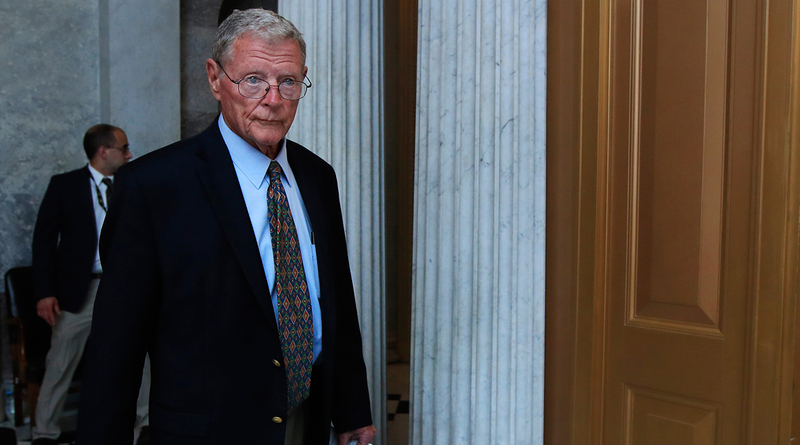 He’s the president, who will be running again for re-election,” Inhofe (R-Okla.), a senior member of the Environment and Public Works Committee, told the Examiner’s chief congressional correspondent, Susan Ferrechio. Transportation Secretary Elaine Chao is scheduled to appear before Inhofe’s panel March 1. On Feb. 12, the White House unveiled a $200 billion proposal that would ideally leverage $1.3 trillion in nonfederal investments in infrastructure projects. A day after the proposal was announced, Trump met with top transportation policymakers. Inhofe’s EPW colleague, Sen. Tom Carper (D-Del. ), said after the meeting that Trump had endorsed a fuel-tax increase as a way for funding projects. EPW Chairman John Barrasso (R-Wyo.) pushed back on the suggestion of a fuel-tax increase. “I don’t like it, but others do,” Barrasso told Fox Business’ Maria Bartiromo on Feb. 15. The U.S. Chamber of Commerce and the American Society of Civil Engineers are among stakeholders urging Congress to increase federal fuel taxes. Most Republicans on Capitol Hill oppose raising fuel taxes. The rate set in 1993 no longer meets the demands of the Highway Trust Fund, an account that assists states with maintenance and construction projects.